If you love deeply, you’re going to hurt badly. But it is still worth it. Are You Struggling To Find Closeness With Your Partner? 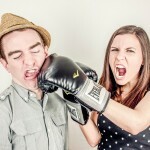 Are you and your significant other struggling to communicate effectively? Do you find yourselves arguing without reaching any kind of resolution? 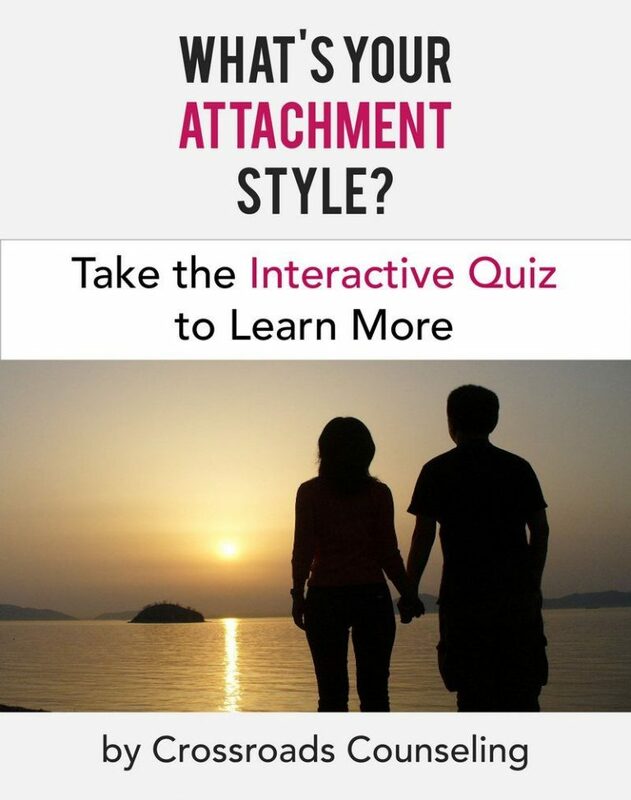 Do you feel as if you are constantly reaching out to your partner, only to find him or her withdrawing from you? Or maybe you feel your partner is overly critical and unfairly blames you for the feelings of distance that you both feel in your current relationship. Has seemingly constant conflict left you both feeling unsatisfied, unhappy and even unloved? Does it seem as though endless arguing has replaced feelings of love and compassion that you once had? Or perhaps you are not communicating at all, and a feeling of distant iciness has surfaced. Do you feel like you can no longer rely on each other, especially when closeness, reassurance and comfort are needed most? Do you long for the care, support, romance, and passion that you once felt together? The ever-changing nature of relationships leads many couples to experience frustrating periods of disconnection. These feelings of disconnection come in many forms, but frequently a pattern is established that both sides have difficulty breaking. Oftentimes one partner may shut-down and become more distant, while the other responds by becoming more outwardly frustrated, confrontational, angry, upset or even verbally abusive. Other times, disconnection causes the couple to withdraw from each other emotionally and physically. Both situations are rooted in communication issues and can leave both partners feeling greatly unsatisfied. No one is meant to handle the hurdles of life on their own. When we engage in a healthy relationship, we learn to rely on that person for support during times of uncertainty. Alternately, when we feel disconnected from that person, the emotional dependability that we once counted on feels damaged or missing. Unhealthy patterns that lead to this disconnection can slowly creep into a relationship or result from a specific event. Periods of great change— like the birth of a child or a significant job change—can also trigger disconnect, uncertainty, and doubt. Whatever the root of the disconnect, feeling disengaged can leave both of you longing for the secure and supportive attachment you once shared. These patterns can be exhausting and seemingly unending or irreparable. This is where couples therapy can be hugely beneficial. With openness, patience, and the right therapist, it is possible to identify the root of these patterns in your relationship and discover constructive methods to break free of them. The first step to breaking a negative pattern is identifying it and understanding why you both react the way you do. When you and your partner are able to communicate more effectively, you can move past hurtful reactions and instead open up room to share deeper, gentler emotions that oftentimes require reassurance from the other person. At Crossroads, we believe that shedding light on these negative patterns is a positive thing. Marriage counseling is the beginning of an opportunity to bring more openness and support to the relationship. With some patience and willingness to change on your part, we help couples implement the creation of healthier patterns where trust and a strong sense of security can grow. Emotional security leads to improvement in the ability to resolve conflict in a constructive environment. When this sense of security is reestablished and strengthened, the relationship has the opportunity to become even stronger than it was before. 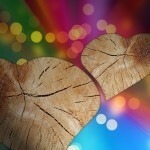 Encountering disagreements and change is an inevitable and natural aspect of every relationship. 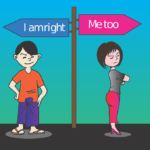 However, when each partner understands how to effectively manage disagreements with compassion in a receptive environment, a healthy relationship can be re-established. Your Crossroads therapist works with you collaboratively in couples therapy to create room for more healthy, constructive patterns. Let us help you in your journey to a more fulfilling relationship. If we start relationship / marriage counseling, does it mean that our relationship is doomed? Lots of couples go through times of difficulty; this is completely normal. Your relationship is not doomed, just stuck. Our Crossroads therapists can help you get unstuck by giving you both the tools and skills that you need to create the relationship that you want. My partner won’t attend relationship / marriage counseling. Though couples counseling with both partners is optimal, you can always work on getting to know yourself more fully which is why we offer couples counseling for one. Cultivating a stronger sense of self and understanding your own triggers and reactions brings more awareness to the relationship. Why do we need couples therapy? Why can’t we deal with this on our own? Sometimes when we become deeply ingrained in a negative pattern, it is difficult to see the areas in which we need help. An unbiased third-party person has the valuable ability to focus on you and your relationship free of judgment. Our Crossroads therapists work with you to understand both sides of the relationship before moving forward. 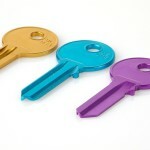 Are You Ready To Get More Out of Your Relationship? We love working with couples that are committed to making their relationships work, regardless of how little or how long they have been together. We also understand that the decision to seek relationship therapy or marriage counseling can be intimidating, which is why we offer a free 20-minute phone consultation. This gives you the opportunity to understand how we can help you and your partner specifically, in your unique situation. When you are ready to take steps toward strengthening your relationship, give us a call at 623-680-3486 or email info@crossroadsfcc.com. How To Win An Argument With Your Spouse. Are You Alone in Your Marriage? 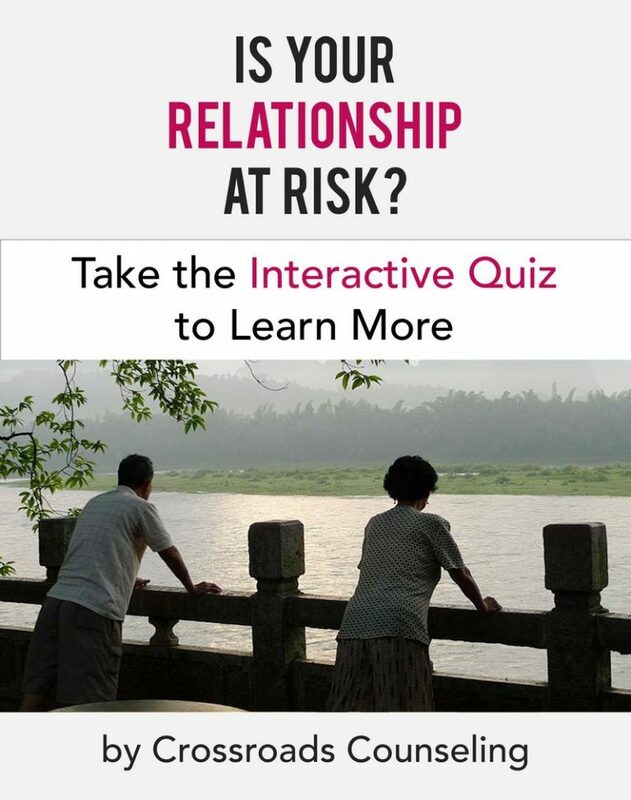 Is Your Marriage at Risk?